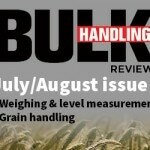 Oji Fibre Solutions (OjiFS) spoke with the Australian Bulk Handling Review‘s Paula Wallace about its new manufacturing plant for corrugated board in Yatala Central, Brisbane. On the 25th of October 2017, the OjiFS Yatala facility produced its first corrugated box. It was a significant moment for the company and the team that had designed a highly automated plant with the capacity to convert 55,000 tonnes of paper. Winning the Best in Design category at this year’s Food & Beverage Industry Awards, it’s easy to see why. The state-of-the-art plant has some of the most advanced materials handling and manufacturing equipment available. The $72 million plant was first announced by the company following its acquisition by Oji Holdings and Innovation Network Corporation of Japan. The Queensland government and Gold Coast City Council also backed the project, providing incentives and funds totalling $65 million. OjiFS purchased a 24,126 square metre property owned by Frasers Property to develop the new facility. Spread over 32 hectares, the property provides manufacturing companies with links to key end-use markets through the M1 motorway and major interstate roads. OjiFS introduced the state-of-the-art manufacturing technology to produce a variety of paper-based products to mainly target the horticultural, meat, dairy, and seafood markets in Queensland, New South Wales and the Northern Territory. Corrugated packaging products are one of the fastest growing segments of the wider OjiFS business, with its high performance paper and product specifications being well suited to challenging supply chains. The plant aims to produce packaging that is suited to Australian weather conditions. The packaging will enable fresh food to be packaged and efficiently dispatched to export markets. The plant will move into full production capacity in phases and in 2018 will convert nearly 12,000 tonnes of paper. The main feedstocks required to make OjiFS’ paper products include paper starch, glue, ink, water, strapping, shrink-wrap and pallets. All materials involved in the manufacture are delivered into the goods inwards areas in preparation for manufacturing. “The manufacturing process at the plant is fully automated. The start of the process is the manufacture of the board which is done on a machine which we call the corrugator,” said Mr Nuttall. Paper is fed in automatically and converted into corrugated board, to a specification, which is then slitted and creased to the appropriate size. At this stage the product is printed, die-cut and/or glued into the customers finished product, which is then bundled, tied if required and stacked on the pallet as per specification. 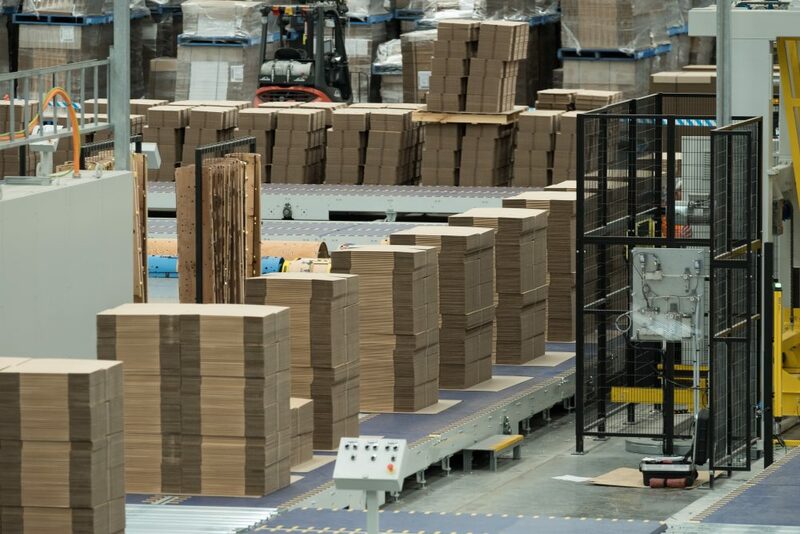 “The final stage of the process involves the pallet being automatically introduced and the pallet strapped, shrink-wrapped, if required, and pallet flags applied,” said Mr Nuttall. At this stage the product is then moved by forklift into the despatch area for delivery to the customer. The plant features an automated materials handling and paperless tracking system from the corrugator through to finished goods, supplied by Emmepi. The BHS Corrugator is 2.5 metres wide and capable of 350 lineal metres per minute. As far as conversion equipment goes, the plant has a Mitsubishi EVOL Flexo folder gluing machine for making regular slotted cartons; a Bobst DRO – die cutting machine capable of any carton flat shape; and a multi-point specialty gluer to add manufacturer’s joints to closed diecut styles. It also has a design facility with full Computer-Aided Design capability and Computer-Aided Manufacture of prototype boxes. And, a lab facility with box compression test as well as board and paper testing capabilities. “An extensive range of corrugator flute options are available to provide high performance solutions for challenging supply chains,” said Mr Nuttall. For example, OjiFS Yatala has on its corrugator an applicator for manufacturing PowerPly board which is a high strength, barrier board ideal for challenging supply chains such as in the meat and horticultural segments that require packaging for cool-storage and high humidity environments. Converted corrugated cases moving on automated conveyers towards the palletisation area. OjiFS built the plant with a five-star GreenStar environmental rating. The plant is designed to consume reduced amounts of water and electricity as part of the company’s focus on sustainability. “Some of the sustainability features include a rainwater harvesting system, which will reduce potable water consumption by 80 per cent,” said Mr Nuttall. A 100kW solar PV system, daylight sensors and an efficient lighting control system in the warehouse are also part of the facility. To meet the standard – ISO/TS 22002-4: 2013, Good Manufacturing Practices/Food Safety – the company had louvres fitted on external walls. Louvreclad and De Luca were contracted to manufacture and install the Louvreclad Varsity Series ventilation louvres for the facility’s warehouse. The louvres provide sufficient aeration to achieve desirable ambient air and control indoor air quality in the warehouse. OjiFS already operates packaging plants in Melbourne and Sydney, in addition to five plants in New Zealand. The packaging facilities manufacture a range of products made from sustainable wood fibre procured from New Zealand. The new plant is aimed at providing OjiFS’ customers with innovative and environmentally sustainable products that enhance their competitiveness, while attracting new customers. “It will enable the company to expand its operations in Australia and provide customers with innovative products,” said Mr Nuttall. The Yatala site was chosen due to its central location between Brisbane and the Gold Coast, and vicinity to key end-use markets. Yatala’s location is also attractive to potential employees and customers in South East Queensland.